Seeking treatment for alcoholism often requires a multi-pronged approach that uses both pharmaceuticals and counseling to help patients work toward sobriety by addressing both the mental patterns that feed addiction and the chemical and neurological processes that are making the brain prone to addiction. One of the pharmaceutical drugs that many recovering alcoholics have found much success with is a drug called Vivitrol. 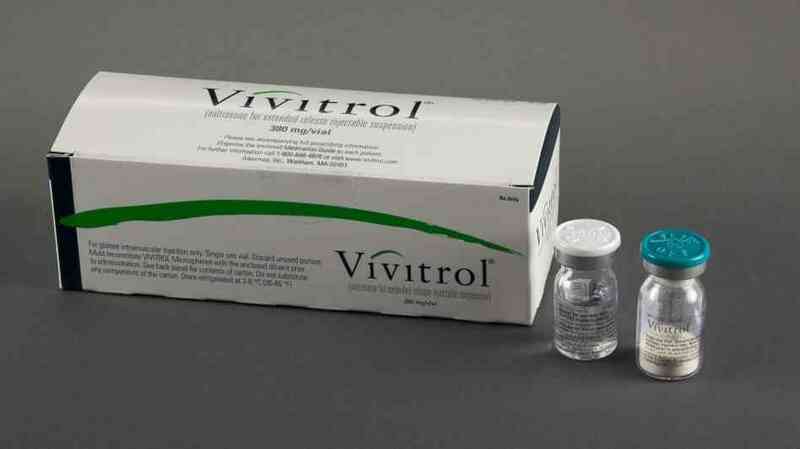 Vivitrol is an injectable drug that was approved for use in treating alcoholism in 2006. It was the first injectable drug approved for treatment of alcoholism, and is somewhat unique in that it only requires patients to receive a monthly dose. It is administered by a patient’s physician. Vivitrol is intended to be given to a patient after they have abstained from drinking for at least a few days. In initial studies of the drug, patients who avoided alcohol for a week prior to receiving the shot exhibited higher success rates in remaining sober after the shot had been administered. Vivitrol works to help curb cravings to use because it blocks brain receptors that experience reward when a person uses alcohol. A drug like Vivitrol is highly effective because when a person is addicted to a substance like alcohol, their brain chemistry actually changes in a way that makes alcohol almost impossible to resist. Reward receptors send messages to the brain that make procuring more alcohol a person’s primary thought, which puts all other life functions, such as the need to feel human affection and the desire to remain healthy and well balanced, on the back burner. As a patient who is receiving Vivitrol ceases to equate pleasure with receiving alcohol, they become much less likely to continue to use the drug. Doctors prescribed Vivitrol to patients who have already effectively stopped abusing alcohol. It is a helpful drug for these patients because most addicts experience cravings and triggers in the time after they undergo the detoxification process. By helping a patient avoid cravings, Vivitrol gives recovering addicts a chance to get the most out of their interactions with counselors and support groups. A drug like Vivitrol also helps recovering addicts implement the tools they have learned in rehab as they return to their regular lives and begin to adjust to living without alcohol. This transitional time is a period when relapse may be very likely, and Vivitrol helps addicts stay focused on their sobriety. This drug is not intended, however, for addicts who need to make the initial move from heavy use to detoxification. Vivitrol is a popular drug among both doctors and patients because it carries low instances side effects. Patients may experience nausea, headaches, dizziness, decreased appetite, painful joints, and muscle cramps. More severe side effects like liver damage, depression, swelling of the face, and suicidal thoughts are much less common, but may occur in a small number of patients. Vivitrol is intended to be used alongside non-pharmaceutical treatment for alcoholism. Alcoholism, like any addiction, is a complex disease that requires patients and their caregivers to use a number of means in order to find health. Recovering addicts who find success with Vivitrol generally also see counselors and attend group therapy sessions on a regular basis. By working to recover from addiction in a number of ways, many recovering alcoholics maintain their sobriety for their entire lives after seeking treatment. Finding the right treatment program, whether it includes drugs like Vivitrol or not, is the key to success.